Thank Eat Street by BCN MES for fighting to legalize street food, currently outlawed here except for a few things like churros and chestnuts. Eat Street exploded onto the city’s gastronomic scene in 2014 with a wildly popular concept, one quickly copied by other markets like Van Van and Palo Alto. 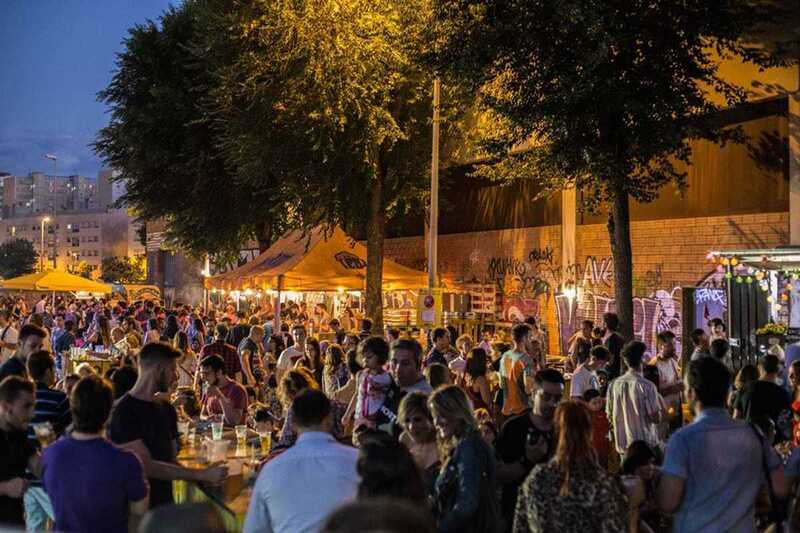 This year, Eat Street found its permanent home at Nau Bostik, an abandoned factory complex in Sant Andreu, but for this month’s edition, Eat Street head to the Tecla Sala public library plaza in L’Hospitalet de Llobregat. There’ll be food trucks (Monchis, The Big Whim, Kraken, Somorrostro, La Taguara, Wilson’s Fumats, Banh Mi, Uay Balam and Xixovic), street art, break dance and DJs till midnight on Friday and 1am on Saturday.